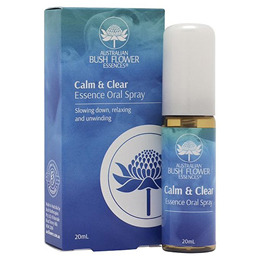 The Calm & Clear Oral Spray is a fast acting natural formulation developed using Australian bush flowers which may help to calm and clear negative emotions and help you refocus on natural balance in your everyday life. Are you always the last priority in your life? Always rushing, can`t switch off with constant mind chatter and work overload? Formulated for those with a busy life - mothers, executives, students and just about everyone who lives in this fast paced world who needs to find their own peaceful space and a little time time for their self! Adults, children and animals - 2 sprays on the tongue, anytime, anywhere. 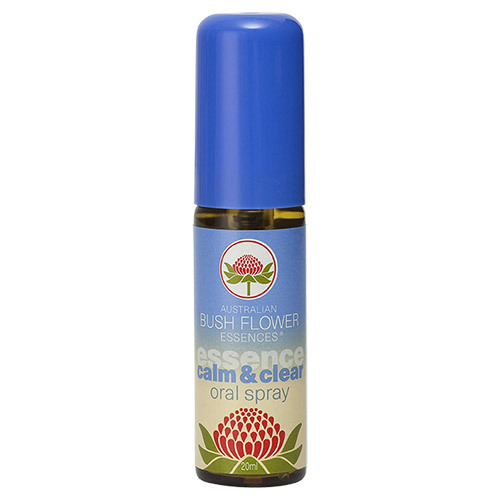 Below are reviews of Australian Bush Flowers - Calm & Clear Spray - 20ml by bodykind customers. If you have tried this product we'd love to hear what you think so please leave a review.